Pure solid wood, untreated and free of toxic chemicals provides an optimal indoor climate where walls are free from mould and condensation. The unique wooden-dowelled cross laminated construction results in no air leaks, no shrinkage and no thermal bridges. 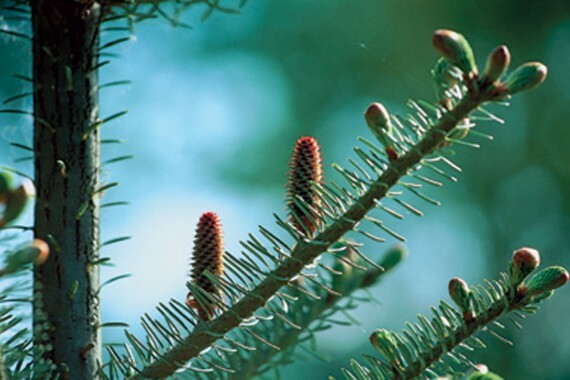 The home is suitable for allergy sufferers because of the fungal resistance of the ‘moon’ wood we use and solid wood’s natural reduction in household dust. The mass of Holz100 making the home pleasantly warm in winter and comfortably cool in summer, compensates for temperature and humidity fluctuations. This natural air conditioning is possible with walls, roofs and ceilings made of 100% wood. 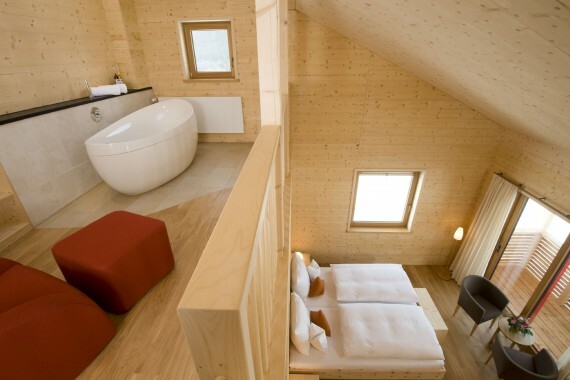 A Holz100 home is an oasis of well-being with perfectly natural insulation, storage and buffering. 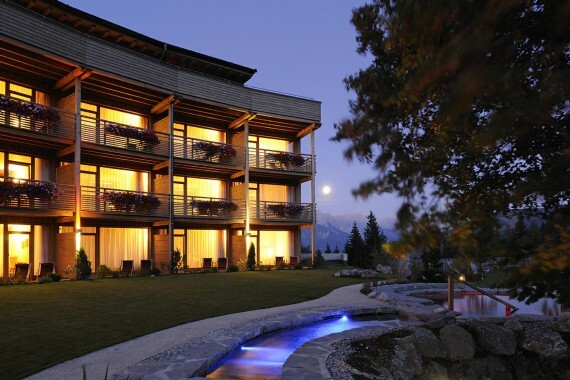 The Holz100 system achieves remarkable winter heat retention results, taking over 360 hours to cool down from 21c to 0c. 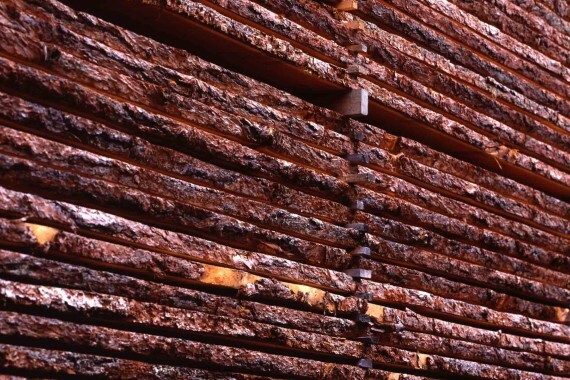 Only renewable, FSC and PEFC certified timber, harvested at the right time is used for Holz100. 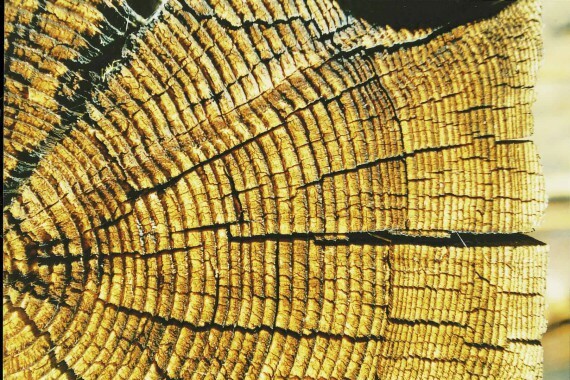 This wood offers almost no nutrition for pests. It is denser, therefore naturally more durable. Timber boards are layered vertically, horizontally and diagonally into compact assembly parts. Dust-dry beech wood dowels are driven through the layers to connect them. 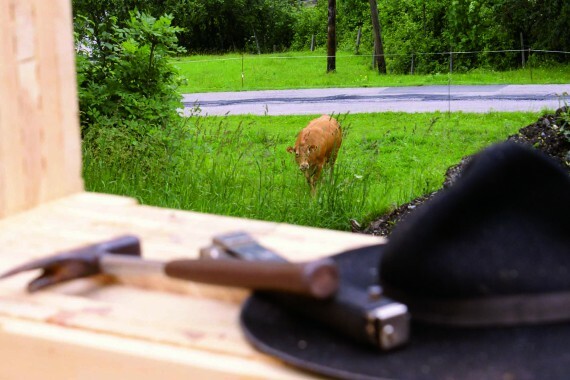 In place the dowels absorb residual moisture from the layers and swell up to connect permanently to the surrounding wood, like branches and their tree. These dowels powerfully connect single layers of wood into one massive thick block. ​Benefit: uncontaminated material ensures a natural and healthy building product. Walls, ceilings and roofs can be made in thicknesses from 12 to 40cm. Production drawings are created according to customised individual plans and client requirements. This makes a high level of prefabrication possible. Grooves and cut-outs for electric wiring, windows, doors and other construction details become part of the prefabricated blocks. This minimises the efforts needed on site and helps save money and time in raising. The speed of construction is a huge benefit in wet and cold climates. 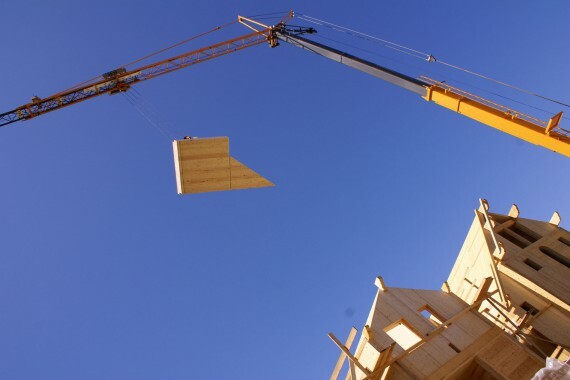 In terms of insulation Holz100 panels are approximately twice as good as solid or glued wood. 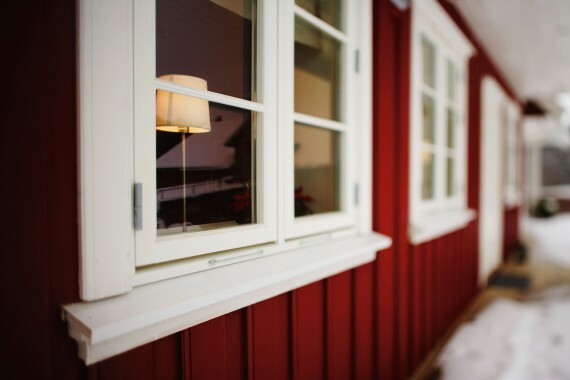 It is possible to have large wooden houses (where walls are 30-40cm thick) using very little energy. 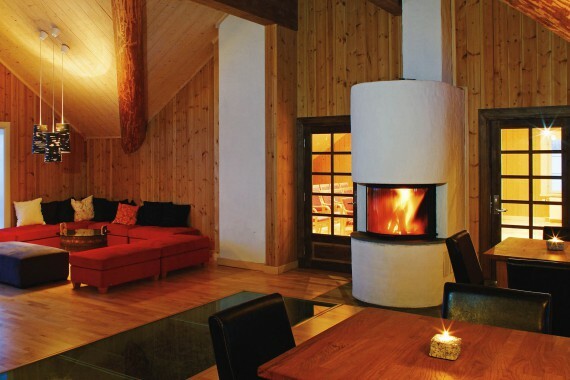 Holz100 houses have a world record in thermal insulation and therefore minimal heating costs. For occupants of the home, Holz100 almost entirely shields against high frequency radiation (eg, emitted from mobile telephone masts) whilst not interfering with the earth’s magnetic field. ​Benefit: protection from the dangers of high frequency radiation. We are surrounded by noisy roads, air traffic, businesses in the neighbourhood, music and sound from radios, TV’s and computers – all of this affecting the quality of our sleep. So it’s more important than ever to be able to withdraw and relax in a quiet place. In the field of soundproofing, Holz100 has redefined the standards time and again. Thanks to double layer walls and specific ceiling construction, our soundproofing far exceeds the current norms. ​Benefit: quiet atmosphere in your home regenerates your strength and allows a deep and healthy sleep. A solid wood construction resists flames longer than any other building material. 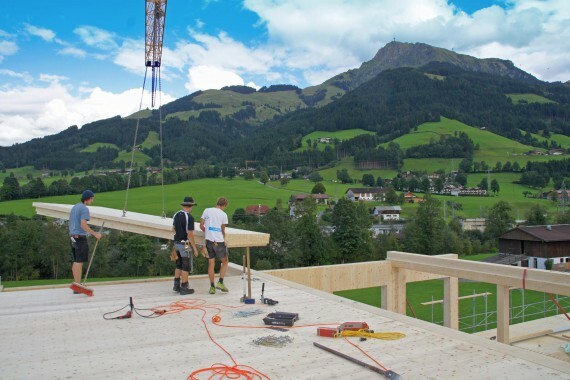 The supporting core layer of a Holz100 wall is well protected at the wall’s centre. In case of fire, no poisonous vapours are released, and there is practically no increase in surface temperature on the side opposite the fire. 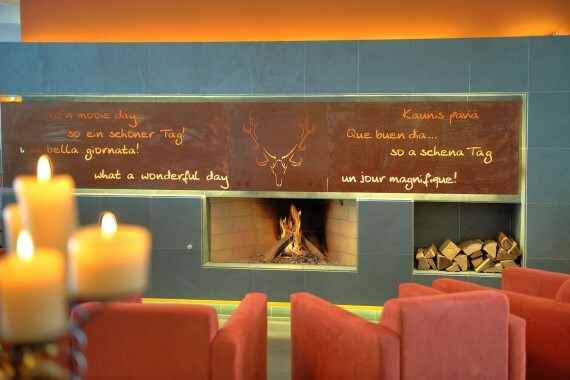 Holz100 walls are used as fire walls. Holz100 houses have survived numerous earthquakes in Japan without any damage. They have defied the strongest storms in German coastal regions, suffering no major flood damage and are easily habitable after flooding. The Holz100 system opens up new and fascinating possibilities for engineering multi-storey buildings in the housing and commercial sectors. 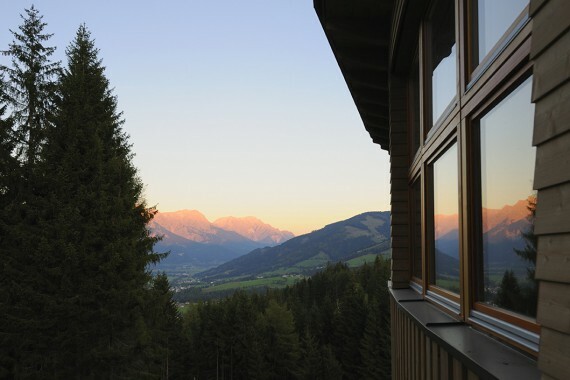 Because a Holz100 building components consists only of wood it has no boundaries between layers of different materials different layers, which could mean varied vapour permeability and condensed air humidity. There is no necessity for vapour barriers. 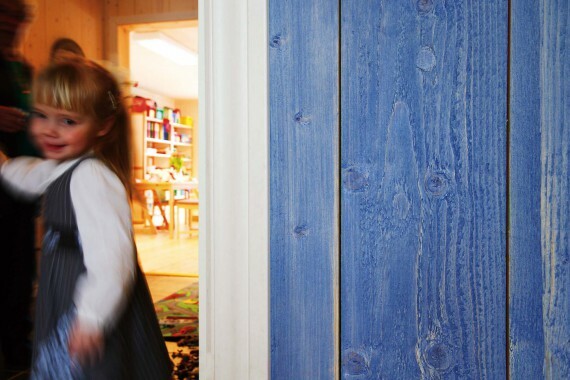 The wood breathes by itself and naturally controls the indoor climate. The air tightness ensures no unnecessary heat loss. Many indoor climate factors, such as changes in room and surface temperatures, depend on the thermal storage mass of the building material. Massive thick walls compensate for unstable thermal conditions that come from heating, the cooling time after switching heating off and the susceptibility to overheating. 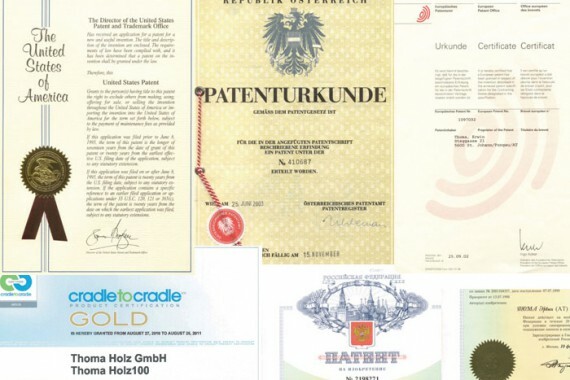 The international Holz100 patent is a guarantee that we offer original goods under the Holz100 brand. ​Benefit: the true original, straight from the inventor. 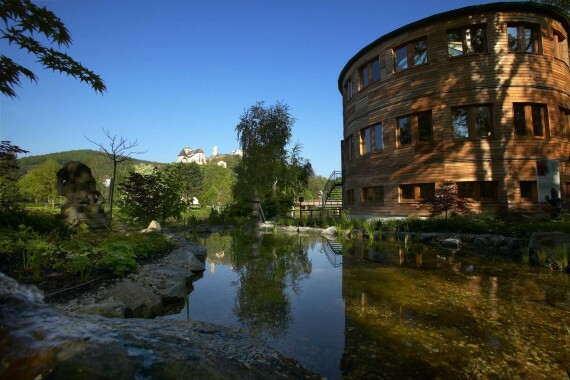 The energy consumed to manufacture Holz100 is extremely low. Compared to brick or glued wood-based materials no energy wasting furnaces or chemical glues are necessary. Holz100 walls are made exclusively from renewable raw materials and our factory is the only one manufacturing homes that uses only solar energy and produces more energy than it uses. ​Benefit: the possibility of building a carbon neutral and environmentally friendly house. in innovation, ecology, business ​​efficiency and social engagement: the Austrian Chamber of Commerce, Research Promotion Fund, Chamber of Labour, The Kathy Beys Foundation, the federal states of Salzburg and Upper Austria. These awards are not only an honour, but an inspiration to drive us to continue great work in the future.Last but not least, we are the first building component system ever to receive a GOLD cradle to cradle certification. ​Benefit: a leading edge development for green building.